Whilst in the asylum of St. Remy, the clinic and its garden became the main subjects of his paintings. 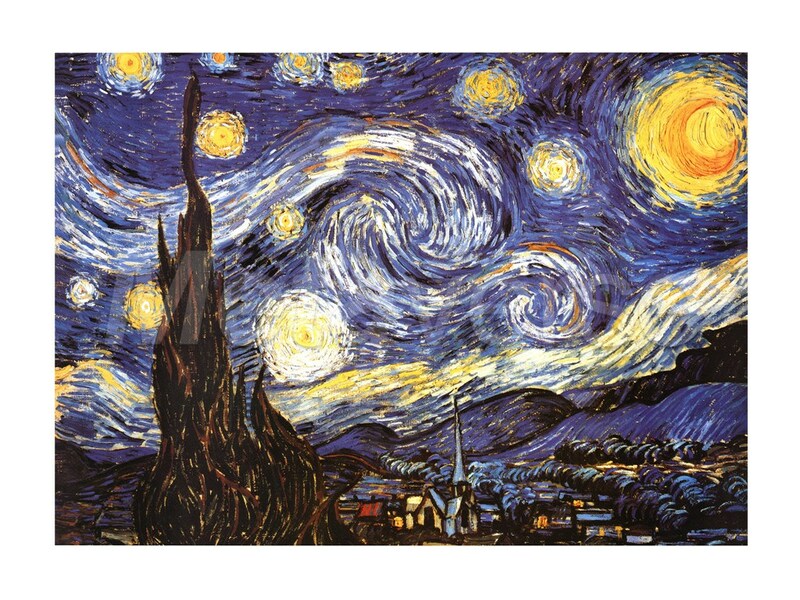 Some of the work from this time is characterized by swirls — including what is, many consider his Magum Opus, 'The Starry Night'. The painting depicts the view outside his sanitarium room window at night, although it was painted from memory during the day. The center part shows the village of St. Remy under a swirling sky, towards the North. The Alpilles far to the right fit to this view. A cypress tree to the left, which he seemed to love so much, was added into the composition. Of note is the fact van Gogh had already, during his time in Arles, repositioned Ursa Major from the North to the South, in his painting 'Starry Night Over the Rhone'. Though this is perhaps his best known and loved work, Van Gogh considered the image to be one of his less successful renditions of nature. In his opinion, it was just not realistic enough. Nevertheless, it is precisely this aspect of the work that has such wide appeal. What admirers almost unanimously feel, is its unearthly visionary quality. The painting may not be a naturalistic representation of the Provencal countryside, but its rhythmically swirling forms and bold patterns clearly point the way towards the 20th century art forms of abstraction, and certainly Expressionism.